We are situated on the beach about half way between Panama City and Destin. Go 20 minutes east to the theater, dining, shopping in Panama City's Pier Park or 15 minutes west to Sandestin. Within 15 mile radius, there are state parks, many restaurants, boutique shopping. 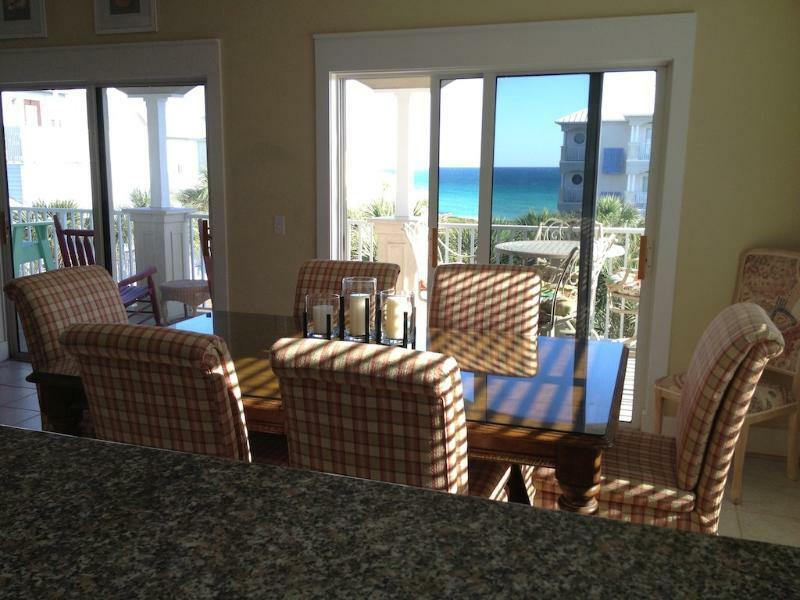 We are located on the beach side of 30A 1.5 miles east from city center Seaside and 2 miles from Watercolor. 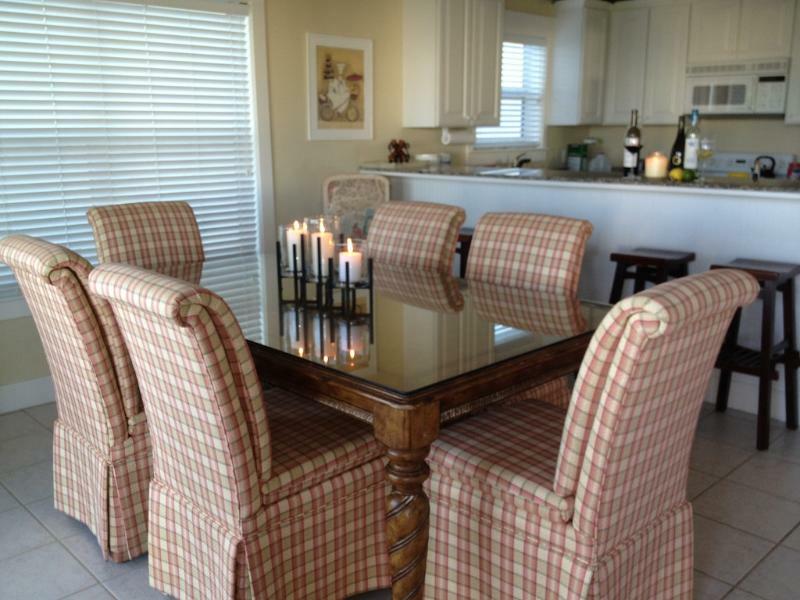 Easy access to restaurants, shopping, spas, events and activities at Seaside and Watercolor. Bike rentals 5 minute walk, rent kayaks, stand up paddle boards from beach service. Directly across the street are restaurants, hair salon, and retail shops. Fish monger is 5 minute walk. Order shrimp and have them cook it for you! Fresh fish daily. 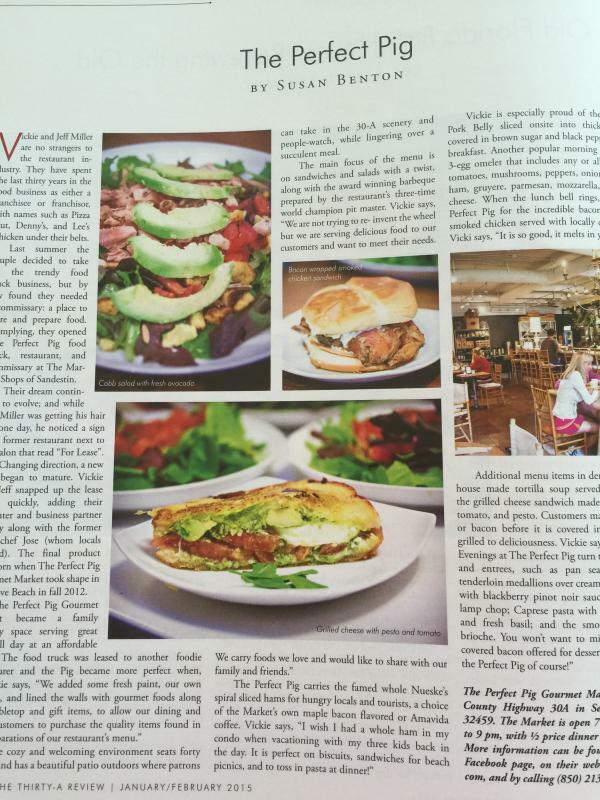 Cafe 30A, a fine-dining casual restaurant, is 10 minute walk.